We took these high definition photos showing a statue called Les Beaux-Arts, which was sculpted by Emile Marie Auguste Guillemin, while we were at the famous Musee du Louvre in the 1st Arrondissement of Paris. 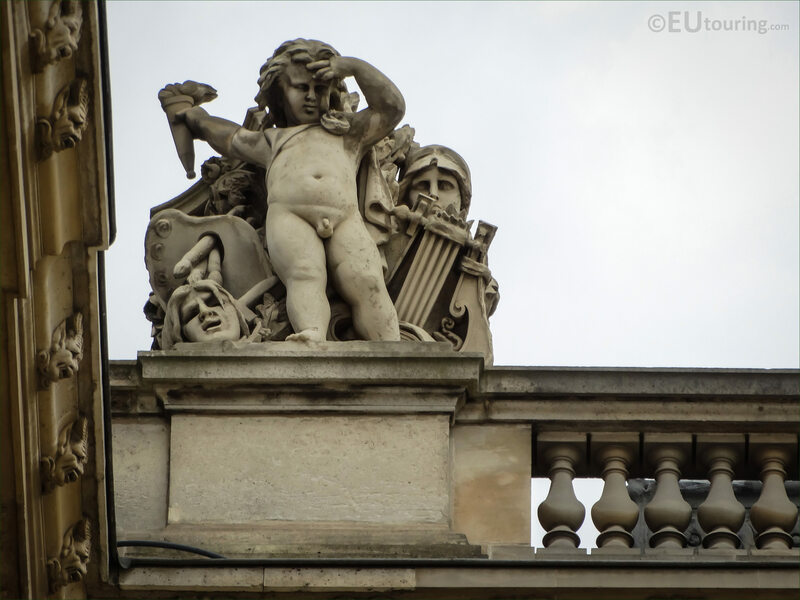 Here you can see the stone allegorical statue called Les Beaux-Arts, which in English translates to The fine Arts, and as you can tell, this is located on the top level on a balustrade of the former Palais du Louvre. 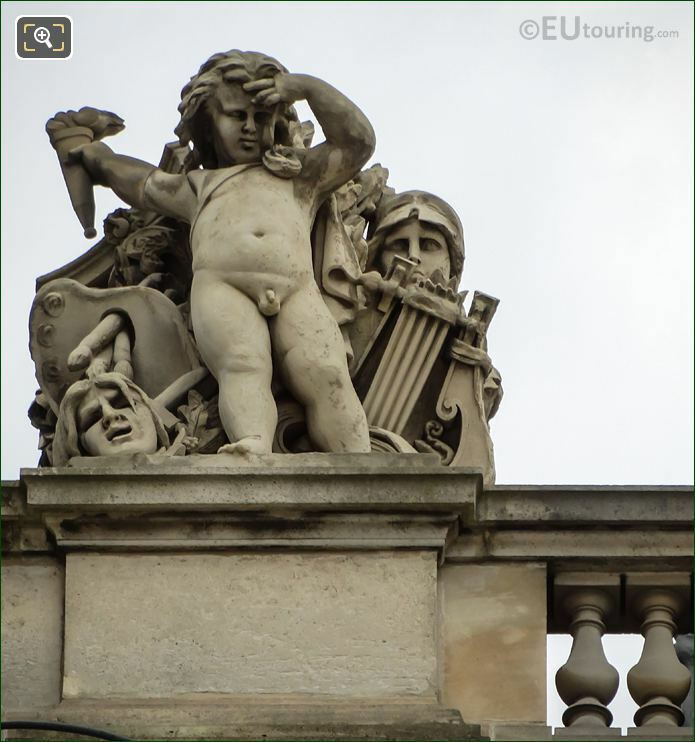 And if you are standing in the courtyard called the Cour Napoleon, you can see this statue of The Fine Arts as the very first statue in the corner on the left hand side of the wing called the Aile Daru. 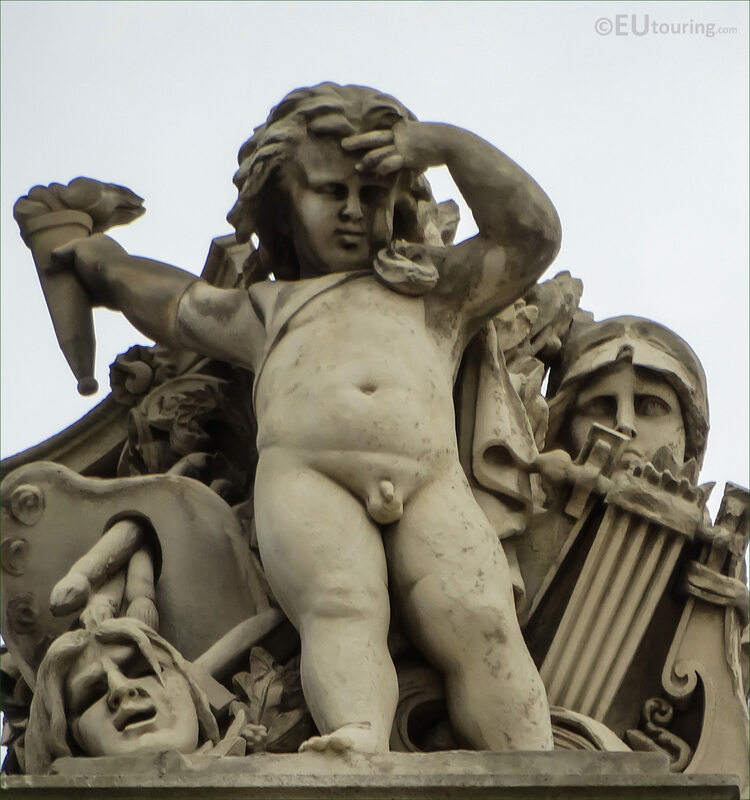 Now the statue was actually produced by Emile Marie Auguste Guillemin, and unfortunately we have not been able to find out many details about this French sculptor, bar the fact that he was actively working between the years 1848 and 1870. 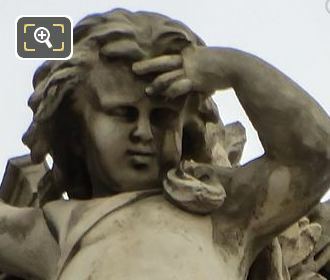 Yet this close up photo of Les Beaux-Arts shows the incredible detailing that Emile Marie Auguste Guillemin put into creating this statue for the Musee du Louvre, but we do also know that he had a son called Emile Coriolan Guillemin who was born in 1841 and followed in his fathers footsteps to also become a sculptor.